This blue-chip has bounced back after last year's sell-off, but many believe it remains undervalued. 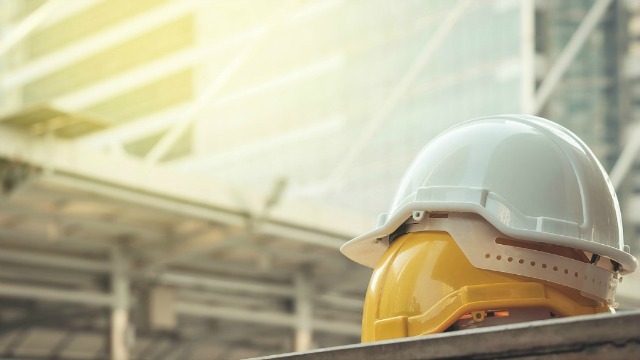 Ashtead (LSE:AHT) gave investors more of what they've grown used to today, even if shares in the plant hire specialist are still showing the scars of last autumn's stock market battering. The UK-based company generates around 87% of its revenues from Sunbelt in the United States, where the fading influence of Trump tax reforms and the ongoing China trade war fuelled economic jitters over the final months of 2018. Buoyed by a softer stance on interest rates, the mood surrounding the US economy has stabilised since then to help Ashtead shares rally by 23% in 2019 so far. 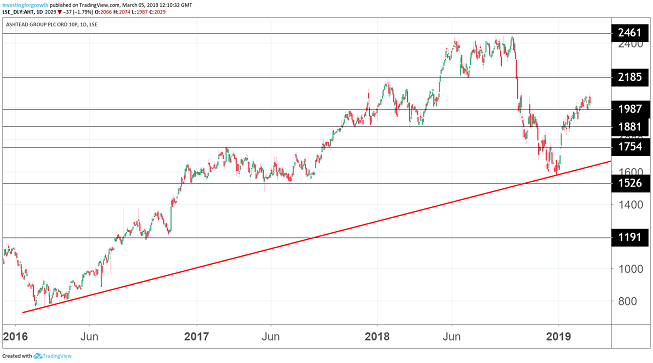 But this cyclical FTSE 100 stock is still significantly lower than the 2,400p peaks touched at various stages in 2018, a point noted by brokers in the wake of today's robust third-quarter results. In particular, there's encouragement that the company continues to see strong momentum in the US after posting 20% rental growth in the three-month period. Analysts at Jefferies, for example, have retained their price target of 2,750p, while Credit Suisse is at 2,675p. Barclays is more cautious at 2,200p, but thinks that the recent correction in the share price looks to be overdone. "Ashtead's business is in significantly better shape than it was heading into the last downturn and we do not expect a de-rating as aggressive as last time around." As well as benefiting from an industry shift from ownership towards the rental model, Ashtead is well placed to capitalise on opportunities in a highly fragmented US market. With this in mind, it has invested £1.3 billion in capital and a further £491 million on bolt-on acquisitions in the first nine months of the 2018/19 financial year, resulting in 112 new locations and rental fleet growth of 18%. This was at the top end of expectations - causing shares to fall by more than 2% today - as Ashtead also said that it planned a similar annual capex figure of £1.6 billion for 2019/20 in order to broaden its product offering, geographic reach and market share. It continues to operate with a net debt to EBITDA leverage ratio of between 1.5x to 2x, despite the impact of investment and spending £550 million on its share buy-back programme. Believing that Ashtead shares can revisit 2,440p, Stifel analysts described the company as "well-managed with a clear roadmap". They added: "Exemplary execution is driving share gains in supportive end-markets". That's reflected in today's results, with earnings per share up 34% to 138.9p after rental revenues climbed 19% to more than £1 billion. It's a far cry from how the business looked in early 2007, when Geoff Drabble was appointed chief executive. The former Laird director is due to step down from the post in May, having successfully turned Ashtead into a FTSE 100 mainstay. He will be replaced by current Sunbelt boss Brendan Horgan. Ashtead is also a regular constituent of the interactive investor Aggressive Winter Portfolio, having delivered positive returns between November 1 and April 30 for nine of the past 10 years. The average return prior to this winter was 33.9%. The 2018 stock market slide means Ashtead is up a mere 3.5% this winter, although for our portfolio investors there's still plenty to play for over the next few weeks. The shares are trading on projected FY20 multiples of 5.8x EV/EBITDA and 10.5x price/earnings (PE), which Jefferies described as a compelling entry point. They added: "Ashtead is a best-in-class operator in terms of growth and returns."